Whenever I come to Seoul, gimbaps are my favourite local breakfast food. Most open from wee hours of the morning and are very cheap. I’ve had many great ones like this one in Itaewon. 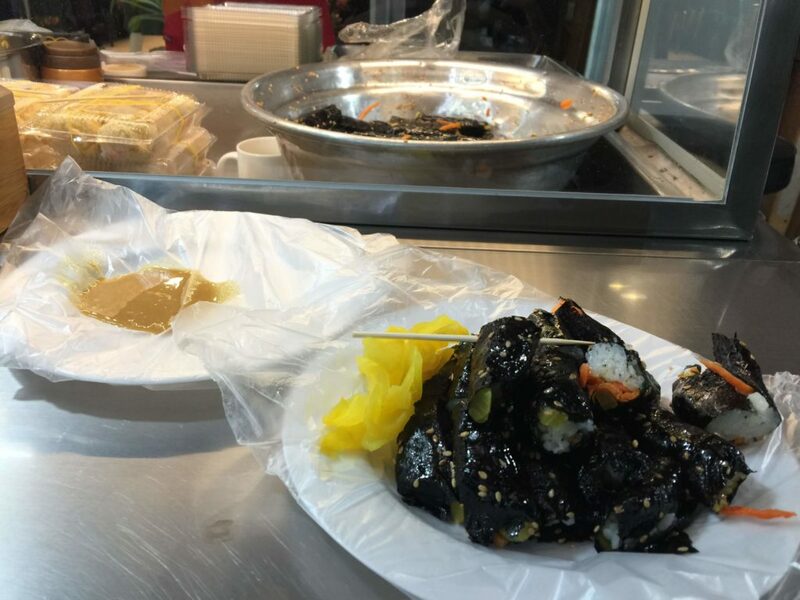 I have this list of food places I collected as I see them online or on shows and Kkoma Kimbap was one of them. 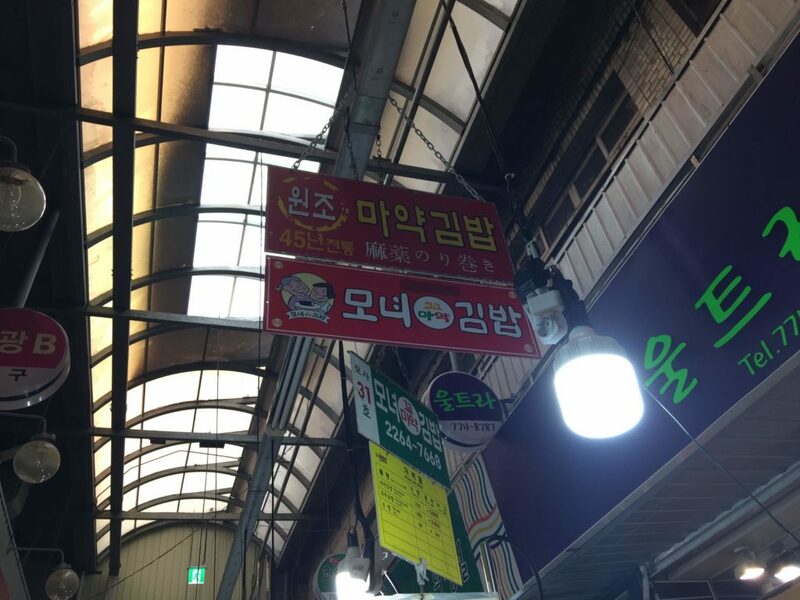 Apparently, Kkoma Gimbap is more a style of gimbap than the name of the shop. It usually have the same type of ingredients but is smaller and served uncut. I read some reviews on this place before heading over and there were a lot of comments about it being very ordinary. Arriving at about 9am, I had a little trouble finding the place. 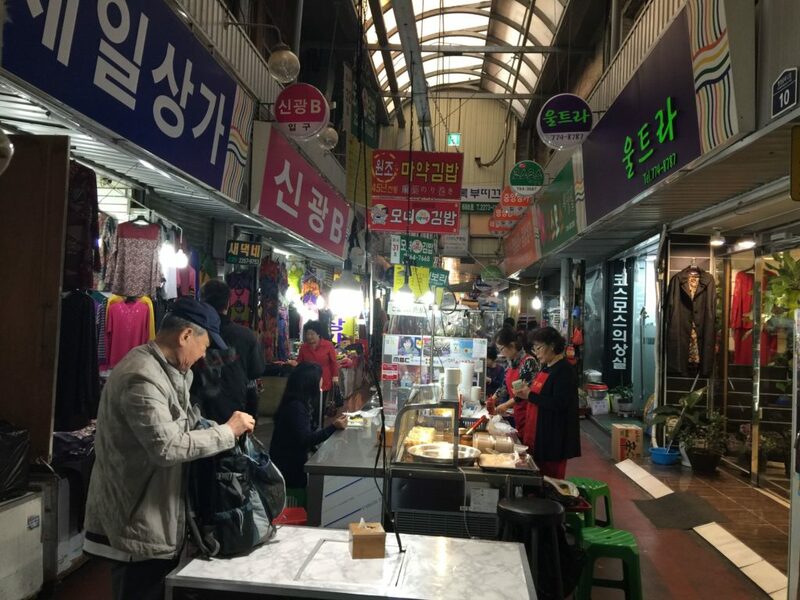 The address was a little vague, but I realise that was because it was one of the street food stores in the middle of Gwangjang Market. I doubled back after comparing a photo I found online. For those having a hard time finding it, look out for this red sign. Look for the red sign. Sitting down, the ajumma spoke to me first in Korea, and when I replied in English, she switched to Japanese. It seems that this place was pretty popular with Japanese tourists. 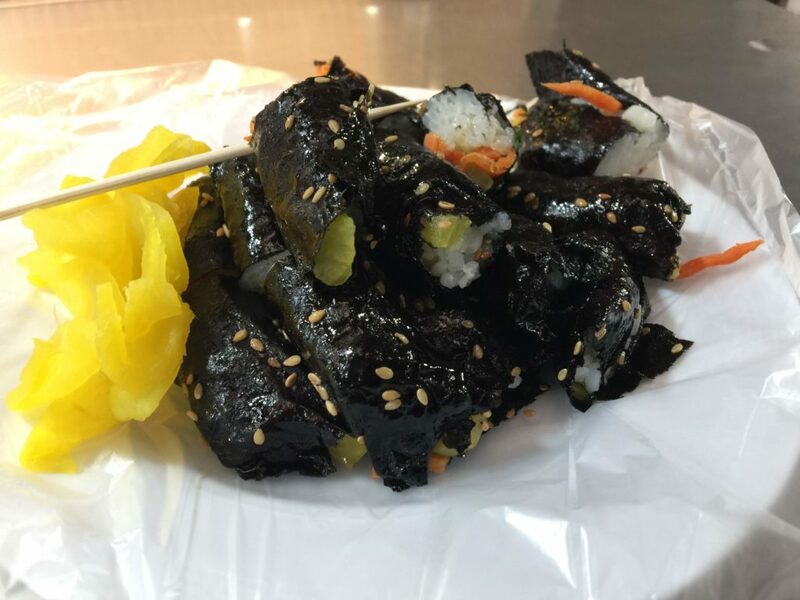 The gimbap is served with some pickles, a wasabi-like sauce and soup. Just from the look and first bite, I could understand the comments about it being ordinary. But, I felt the charm of this gimbap was its simplicity. There was absolutely no frills and the gimbap and everything else was as basic as it can get. The gimbap itself was a solid, standard base taste that is perfectly complimented by the sauce. It was a little cold that morning, so the soup was a great chaser. While I ate, there was a constant flow of people coming taking out a packet of gimbap for the road. So, my verdict is that this place is ordinary, but it does ordinary really well. 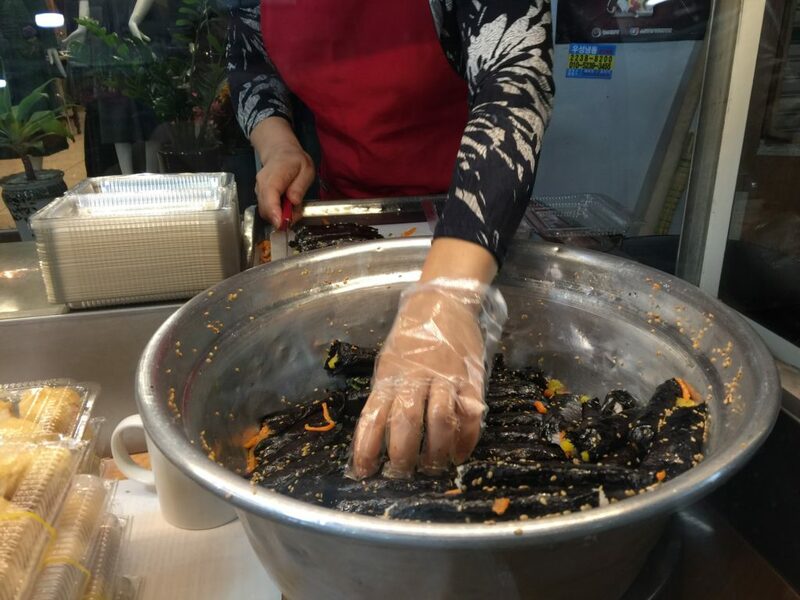 If you want the purest form of Kkoma Gimbap in the most local of places, then this is the place for you. In the most unexpected restaurant.